The BMW R 1250 RT gives you more freedom than ever before. The variable camshaft control system ‘BMW ShiftCam’ ensures consistent power delivery throughout the entire power band, for swift cornering and immense torque on the straights. An increase in engine displacement brings you even more performance – pumping out 136 hp and 105 lb-ft of torque. 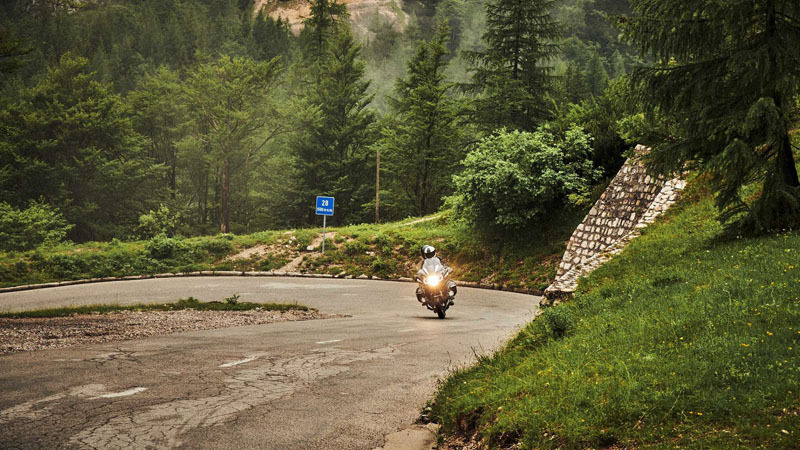 Experiencing the road ahead is more effortless than ever. You can make your RT unique thanks to the individualization options. 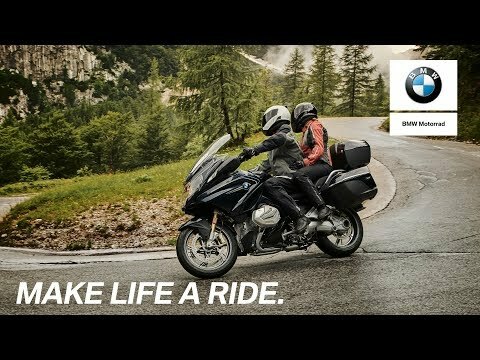 It's your tour, and your bike. BUILT FOR TOURING: Anticipation and excitement are the most beautiful companions on any tour. 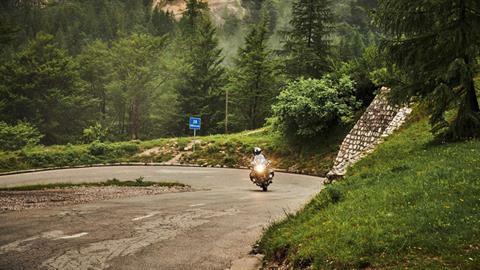 With the start of your R 1250 RT, you can feel the superior quality of the twin-cylinder boxer engine. Its performance and enhancement in operation fascinate across the entire power band. The ‘BMW ShiftCam’ variable camshaft control system ensures greater torque across the entire power band and boosts your control. Thanks to a larger displacement and more power with more efficiency, your riding pleasure intensifies mile upon mile. 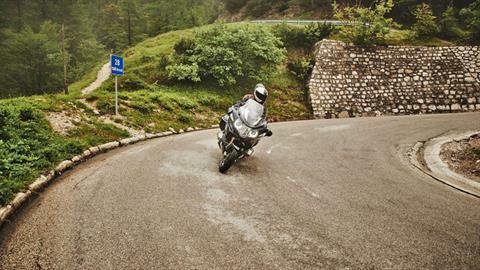 The high torque curve and the irresistible power with fewer gear changes quickly become indispensable companions. 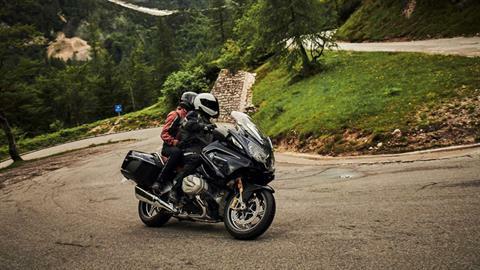 BMW MOTORRAD SPEZIAL: Beginning in the Spring of 2019, you will have even more options to make your R 1250 RT your bike with one of the design-defining Spezial Option 719 billet packs: ‘Classic’ or ‘HP’. Both are very exclusive and high-quality individualization options. In addition, you can adapt your bike with Spezial Option 719 ‘Classic’ or ‘Sport’ wheels to even better suit your own personal taste. STANDARD HILL START CONTROL: Standard Hill Start Control makes starting off on hills easier. With a quick, firm pull of the handbrake lever, the rear brake can easily be applied without having to step on the foot brake or continuing to hold the hand brake. 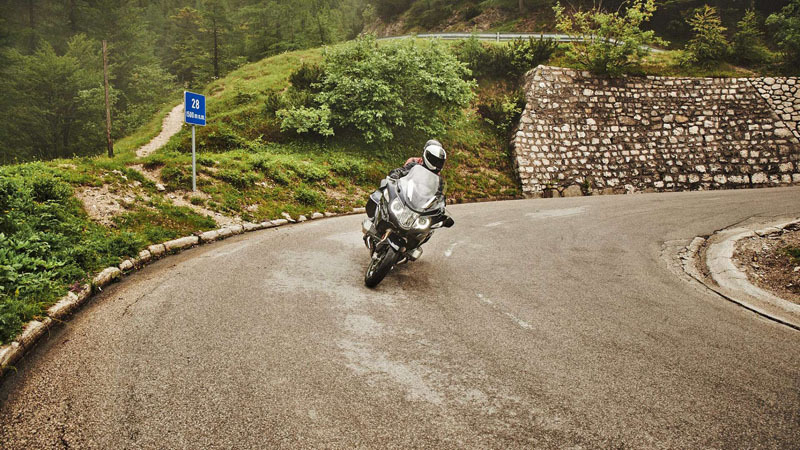 When riding off, the brake is released automatically. NEXT-GEN DYNAMIC ESA (ELECTRONIC SUSPENSION ADJUSTMENT): Available Next-Gen Dynamic ESA ensures more stable and safer ride characteristics. The system automatically regulates the damping and spring preload of the struts depending on riding conditions and load, and offers the highest level of comfort and traction on all surfaces, even when cornering. KEYLESS RIDE: Thanks to Keyless Ride, you no longer have to spend time looking for your keys before you set off. All you need to do is carry your key in your pocket in order to unlock and start up your motorcycle. BMW SHIFTCAM: Shows what's inside: the twin-cylinder boxer engine with variable camshaft control. 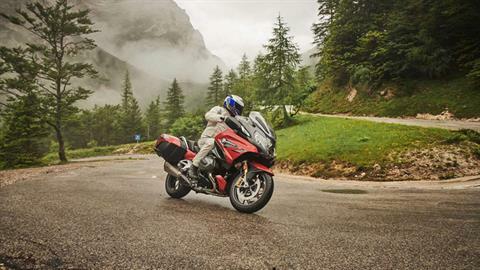 BMW MOTORRAD SPEZIAL: With BMW Motorrad Spezial, you are getting a customized bike with personal touches and the highest quality standards straight from the factory. 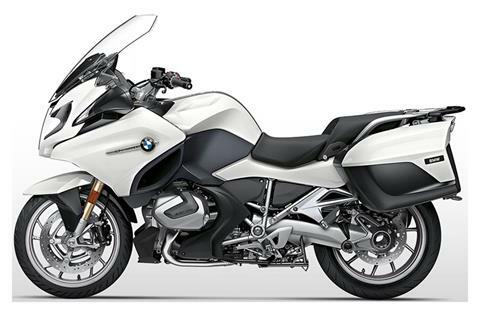 At BMW Motorrad Spezial, you will receive select high-quality materials and finishes like the Spezial Option 719 colors with traditional hand-painted accent lines or the exclusive Option 719 Saddle Brown seat. Furthermore, you have the choice between two very high quality and exclusive billet packs, each of which give your bike a very different character. In addition, you can choose from two different Spezial Option 719 wheels to customize your bike even further. GEAR SHIFT ASSIST PRO: Gear Shift Assist Pro is a feature known and loved by racers, allowing riders to upshift and downshift without pulling the clutch lever. 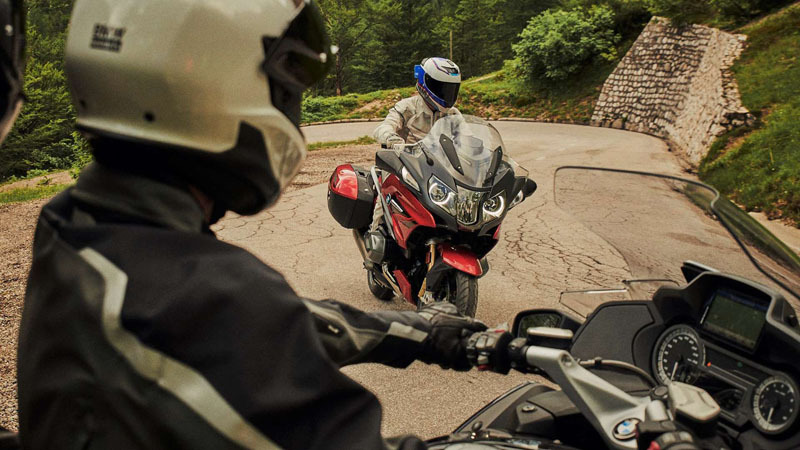 This means that you always have the handlebars firmly in your grip while reducing shift time and decreasing the impact of the load change on the rear wheel. 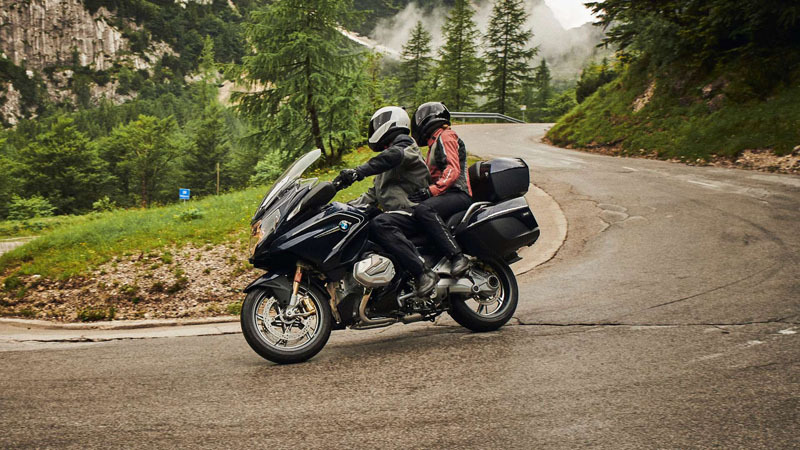 AUDIO SYSTEM: If all you need for the ultimate touring experience is the right music, then the audio system for your R 1250 RT is an indispensable feature.